ECONET is the short name of the project “Fish Fry Recruiting Devices”. The Project is being implemented under the financing of the EU program: “COOPERATION 2011 – Partnerships of Production and Research Institutions in Focused Research and Technology Sectors”, which is part of the Operational Program “COMPETITIVENESS AND ENTREPRENEURSHIP” and regions in transition within the National Strategic Reference Framework (NSRF) 2007-2013. ECONET is the result of a joint effort of the Institute of Marine Biological Resources and Inland Waters (IMBR & IW), the University of Crete (UoC), the company DIOPAS SA and the company NAYS Ltd. The project aims to meet the market demand for innovative products that could help the fishing industry to apply large scale fish protection programs using inexpensive materials. This will be achieved using synthetic materials and nets which are inexpensive materials, already used in the fishing industry, to construct a series of fish fry protecting devices. These smart devices will be used to protect juvenile fish in the most vulnerable phase of their life in order to help restore fish populations in a natural way through the decrease of the natural mortality. 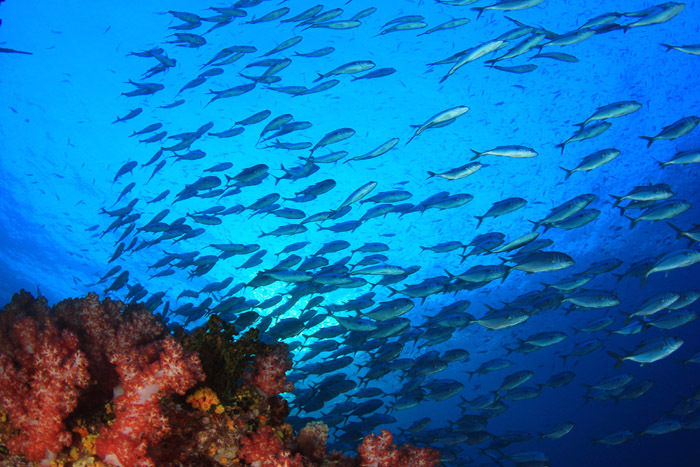 This simple stock enhancement technique is applicable to non migratory species which are mainly target of the small scale fishery, having high commercial value and which suffer from overfishing. We hope that you find the ECONET Website informative and easy to use. Our goal is to produce a robust web site that offers comprehensive information on the project and its results and which also facilitates the involvement of interested parties. We will therefore welcome any comments and suggestions that can help us improve the content and functionality of our website.